I was so excited to get my copy of The Breakout Novelist yesterday. I have two Donald Maass' books and LOVE them both. But I was a bit disappointed with this one. Not the content; the format, and for that, I gave it only 4 stars. The problem: It has VERY SMALL print (probably 10 pt). I wish the publisher had produced a notebook-size book with larger type. I would have gladly paid the extra cost. As it is, I'm not sure if I'll be able to use this book very much. If you have 20/20 vision, it won't be a problem, but for those of us with "older" eyes, it sure makes it difficult. The book itself includes information from his previous books: Writing the Breakout Novel, Writing the Breakout Novel Workbook, The Fire in Fiction, and The Career Novelist, as well as some updated content. I've been working in Writing the Breakout Novel and have gotten further in my novel writing than I have with any other resource. Part One is Mastering Breakout Basics. It includes information on premise, stakes, time/place, characters, plot, subplots, pace, endings, advanced plot structure, and theme. Part Two is Achieving Breakout Greatness: This chapter includes protagonists vs heroes, characters who matter, scenes that can't be cut, the world of the novel, a singular voice, making the impossible real, hyper-reality, tension all the time, and the fire in fiction. Part Three is Building a Breakout Career: This chapter includes information on publishing: myth vs. reality, status seekers & storytellers, pitching, agents, contracts, numbers numbers numbers, career patterns that work, breaking out, passages in fiction careers, the future of publishing. At the end of each chapter are practical tools: exercises that will help you learn the craft. You can download and print the exercises (in a larger font!) from the link supplied in the book to the Writer's Digest website. These exercises are what are really helping me to learn the craft. If you want to learn how to write fiction, I can't recommend this author enough. I'm not a published fiction author yet, but I believe Maass' books will help me get there. Do you have an idea for a novel rolling around inside you, but you just can't seem to get it out? Ever felt like you have so many thoughts for your story that putting them together seems nearly impossible? You need to BRAINSTORM! 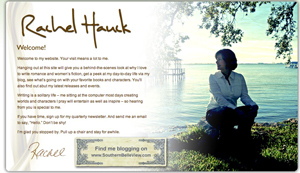 Join Writers of Inspirational Novels as we host award-winning, best-selling author Rachel Hauck in a full-day intensive seminar entitled, The Art of Brainstorming: From Novel Idea to Published Novel. Rachel will share her expertise on using brainstorming to get your ideas out of your head and into your writing! The seminar will be held Saturday, April 2, from 9:00 AM until 4:30 PM at Fellowship Lutheran Church, 6727 S Sheridan Rd, Tulsa OK, 74133. Registration is open now: $35 (including lunch) for the general public, $25 for members of ACFW (see www.acfw.com). Register online or if you prefer, you may download the registration form and mail it with your payment to W.I.N., PO Box 724, Jenks OK 74037. Registration closes March 26th, so sign up today! Rachel Hauck has been writing full-time for seven years. She's published more than thirteen novels, including the acclaimed Songbird Novels with country music artist Sara Evans. She is a writing mentor and teacher, an advisor for American Christian Fiction Writers, the My Book Therapy therapist (see mybooktherapy.com), and an avid Buckeyes football fan." I read books to be entertained; to be encouraged about life and the belief that there is a hope and a future. I like books that feature heroes and heroines that are trying to live by traditional Christian values, even if they fail to reach the goal 100% of the time. Too many books today have given up on traditional values; instead, accepting failure as normal. There’s no hope that we humans can do better. Vickie McDonough doesn’t accept this premise. She writes books that not only entertain, but also inspire us with messages of hope and a new life in Christ. McDonough introduces us to characters that are far from perfect. They have problems. They make mistakes. Their lives are not all they should be, but they don’t accept it as normal. They aim high, continuing to work towards a life that pleases their Creator. They may not get there in this life, but they never give up trying. There is a goal to be reached. Finally a Bride (Texas Boardinghouse Brides, Book 3) is a love story about people with problems, with mistakes they’ve made, and people they’ve hurt. It’s a parable about forgiveness and new life. And, on top of that, it’s very entertaining! The setting is Texas, turn of the century. There are still cattle ranches and cowboys, small-town life, and church dinners, with romance as the main theme. Finally a Bride focuses on the love stories of small-town reporter, Jacqueline Davis; temporary pastor, Noah Jeffers; and ex-con, Carly Payton, one of the original Boardinghouse Brides. “Jack” wants to move to Dallas to become a “real” reporter, Noah is keeping a secret from his congregation, and Carly may be forced to leave the town she loves because of her past. Further complicating the plot is a murder in town, some robberies, and an unwanted suitor. You don't have to read the Boardinghouse series in order as McDonough gives you enough information in each book about past characters and events that you won't feel lost. However, you may enjoy it more if you do read them in order. Finally a Bride is fun, very romantic, and inspiring. It’s recommended reading for anyone who wants to spend a few hours enjoying a great love story that brings with it a message of hope. Yesterday, I received a pre-release copy of Vickie McDonough's new book, Finally a Bride (Texas Boardinghouse Brides, Book 3). I've read the other two books in the series and loved them, so I was excited to get the opportunity to read this one. I just finished reading the first three chapters, and I'm hooked already! Finally a Bride will be in the bookstores soon! Vickie McDonough believes God is the ultimate designer of romance, and she proves it with each book she writes. Check out her website at www.vickiemcdonough.com. If my understanding of this policy is correct, what's the problem? Apple is trying to make a profit like everyone else. Why shouldn't they charge if a purchase is made within their system? Apple still allows a reader to purchase e-books elsewhere and then access them on the iPad at no charge. The publisher, in this case, doesn't have to pay the 30% to Apple and the customers gets the benefit of reading his e-book on the iPad. Seems like a win-win to me. Manufacturers of all products have to pay fees to anyone who distributes their products. In this case, the manufacturer is a publisher and the products are e-books. If the publisher wants to sell an e-book through more distribution channels (such as Apple), they will have to pay a fee for that channel. As a reader, what does this mean for me? It's the same as any other product I buy. If I buy a product directly from the manufacturer, it will generally costs me less as the manufacturer doesn't have to pay the "middle man" or distributor. In the case of an e-book. I'll pay less if I can cut out the "middle man" or distributor. Therefore, if you want to buy your e-book directly from inside an app, you'll have to pay more for that e-book. Otherwise, you'll need to go directly to a distributor (such as Amazon, B&N, Sony or even the authors themselves). Just remember, the service of distributors is locating all these great books! If you don't know about them, you can't read them! So whichever way you go, remember, everyone needs to make a profit to stay in business. No profit - no business. No business - no product (and no jobs!). That's the American way. I just discovered that Sally Stuart sold Christian Writer's Market Guide to Jerry Jenkins and the Christian Writer's Guild. I wonder what these changes will bring for authors, especially for new authors? From browsing this guide and the traditional Writer's Market Guide, I'm personally beginning to wonder if these books are even relevant to new authors any longer. It appears that most of the publishers (at least the ones that pay) are not accepting manuscripts from new authors unless they go through an agent. If the agent's job is to place your manuscript, why do you need to have a market guide? Am I missing something here? Granted, writing for nonpaying publications is a great way for new authors to get their name out there, but you can only do that so long! Anyone else have a take on this? Doing a lot of trolling the web today! Since I'm snowed in, I've been doing a lot of trolling writer websites! If you're interested in writing Christian Fiction, take a look at this: Conference tapes from the 2010 American Christian Fiction Writer's conference! I wish all conferences did this for those of us who can't attend. Rx for Writers from the Institute of Children's Literature. It includes one section on picture books. A workshop session (there is a fee for this) taught by Andrea Brown (literary agent) call Demystifying the Children's Book Industry. I found it interesting and helpful as someone just beginning the picture book journey.